this is two 3 die machines that share a common cabinet next to a change machine. 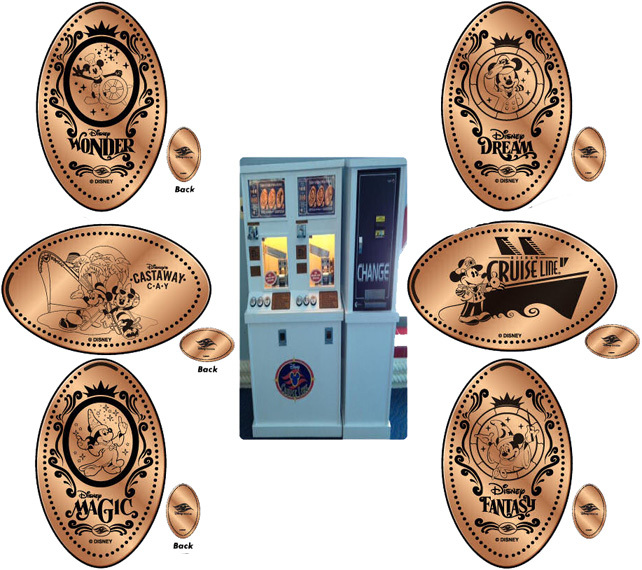 These machines have been placed at the Disney Cruise Line Terminal at Port Canaveral, Florida. The machines are in the terminal and are only accessible to those passengers holding cruise line tickets. The site is not open to the general public.